(Bartlesville, OK, October 8, 2008) – RE/MAX of Bartlesville, REALTORS joined RE/MAX offices around the globe in marking the 30th anniversary of the renowned RE/MAX Hot Air Balloon. 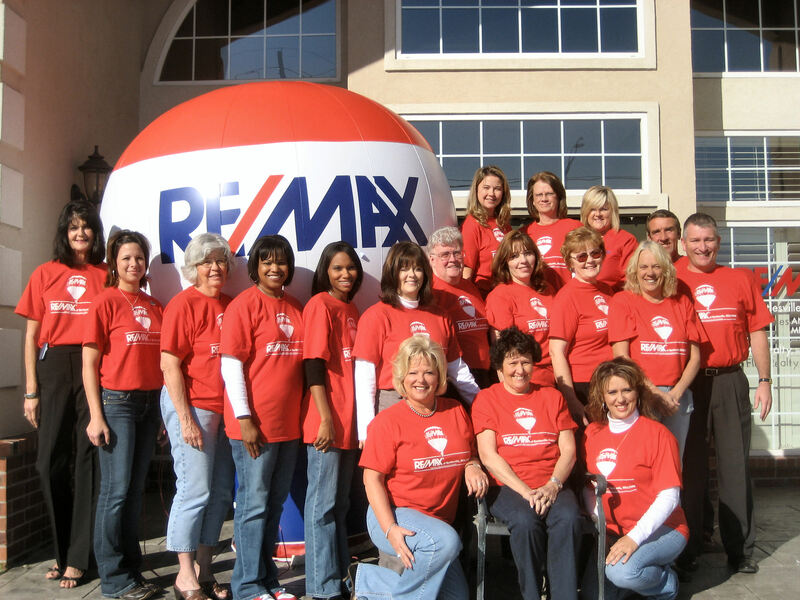 RE/MAX of Bartlesville, REALTORS commemorated the first flight of a RE/MAX balloon, in 1978 on October 8, 2008. "It was an excellent opportunity to celebrate our company’s heritage," said Cheree Curtis, Office Manager. "The RE/MAX brand, including the balloon, is a big part of what’s made our business so successful – it’s a symbol of our commitment to rise above the crowd and provide the most professional real estate services to our clients in Bartlesville and surrounding areas." Several events were held in conjunction with RE/MAX Hot Air Balloon flights at locations around the world. In Capetown, the South African flag was flown from a balloon, while providing adventurous flights for the "reach for a dream" charity. In Canada, there were 8 RE/MAX balloons that took to the air at various locations across the country. One RE/MAX balloon was tethered in the center of Lincoln Park, in downtown Chicago, while another took flight over Lucas Oil Stadium in Indianapolis. RE/MAX balloons were flown in a kaleidoscope of more than 700 colorful hot air balloons in the "Flight of the Nations Mass Ascension" during the Albuquerque International Balloon Fiesta. In Oregon, RE/MAX pilot Darren Kling, attempted a crossing of the Cascade Mountains, taking off in the Willamette Valley, passing by Mt. Jefferson and landing near Bend, OR. The RE/MAX Hot Air Balloon Fleet is one of the largest in the world, with over 100 balloons located on six continents. The distinctive red, white and blue balloon, which represents the international real estate network, has become one of the most recognized corporate images in the world. Because of the strong brand awareness it creates, the RE/MAX balloon has helped take the international franchisor to the top of several national and international brand rankings including Advertising Age’s Top 200 US Megabrands and Entrepreneur Magazine’s Franchise 500 Survey. In these two surveys, RE/MAX was the highest ranked real estate franchisor. In the Entrepreneur Franchise500, RE/MAX has been the highest ranked realestate franchisor for eight of thelast ten years. Information about the RE/MAX Hot Air Balloon program can be found at www.remax.com. 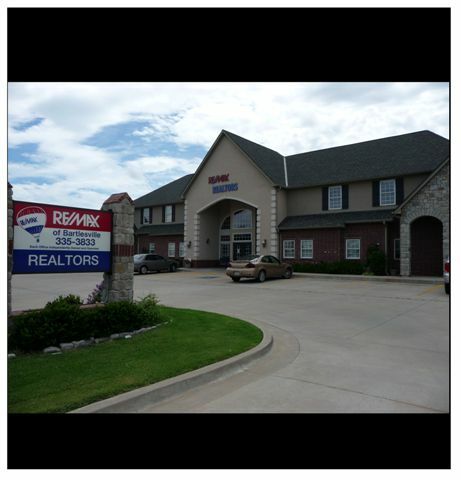 RE/MAX of Bartlesville, REALTORS is a full-service real estate company with 20 full-time top professional REALTORS, which partially explains how this office sold over $93 Million of real estate in 2007. To be specific, RE/MAX of Bartlesville, REALTORS assisted over 700 families in Northeastern Oklahoma with their real estate needs in 2007 alone. RE/MAX of Bartlesville, REALTORS always make their clients and customers their #1 priority in every transaction. RE/MAX was founded in 1973 by Dave and Gail Liniger. From a single office in Denver, Colorado, it has grown to be a global network of over 105,000 Sales Associates in more than 65 countries. No one in the world sells more real estate than RE/MAX. Today, all home listings in thousands of U.S. cities and towns can be found at www.remax.com. RE/MAX is proud of its Premier Community Citizenship initiative, which has helped raise millions of dollars and support for charitable organizations like, Susan G. Komen Breast Cancer Survivor Recognition Program, Children’s Miracle Network and The Sentinels of Freedom Foundation.